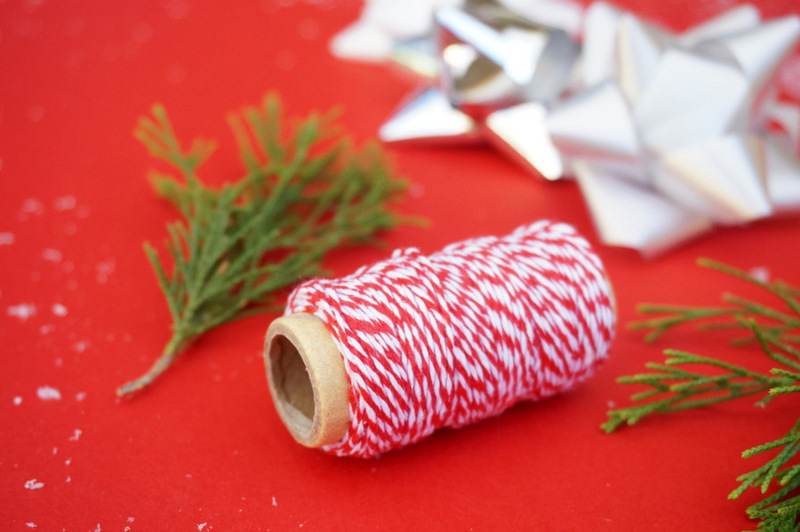 Raid your cabinets for spare gift bows and ribbon, and don’t hesitate to take some scissors to the evergreen tree outside for a small snip of seasonal foliage! 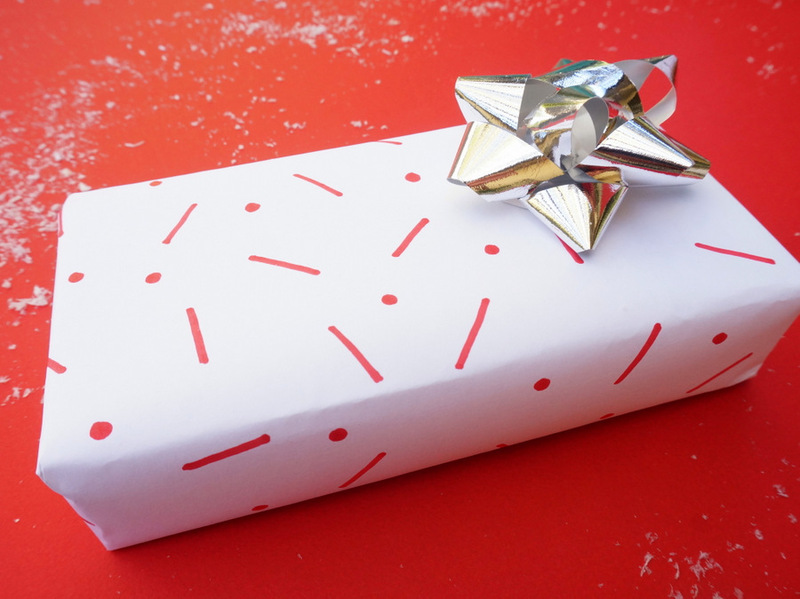 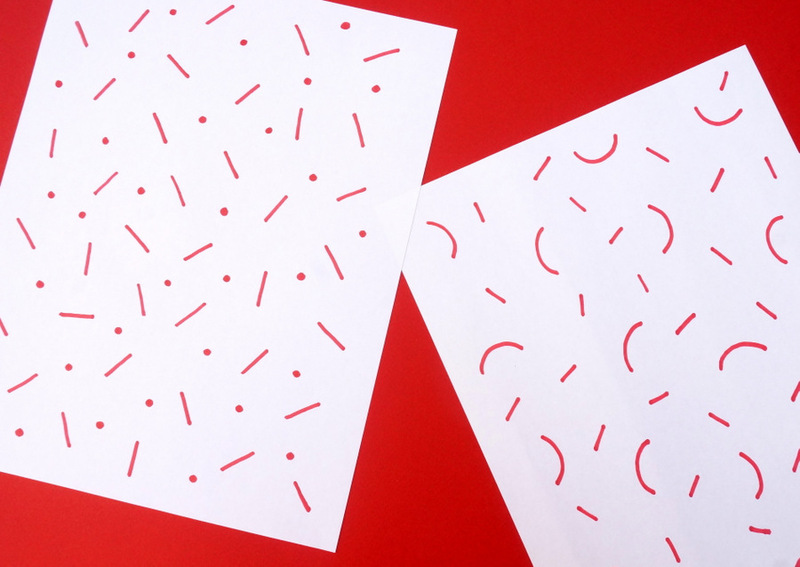 Copy paper/printer paper makes great wrapping paper! 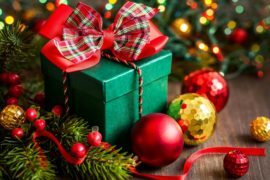 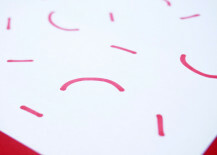 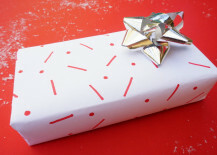 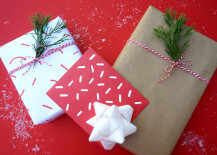 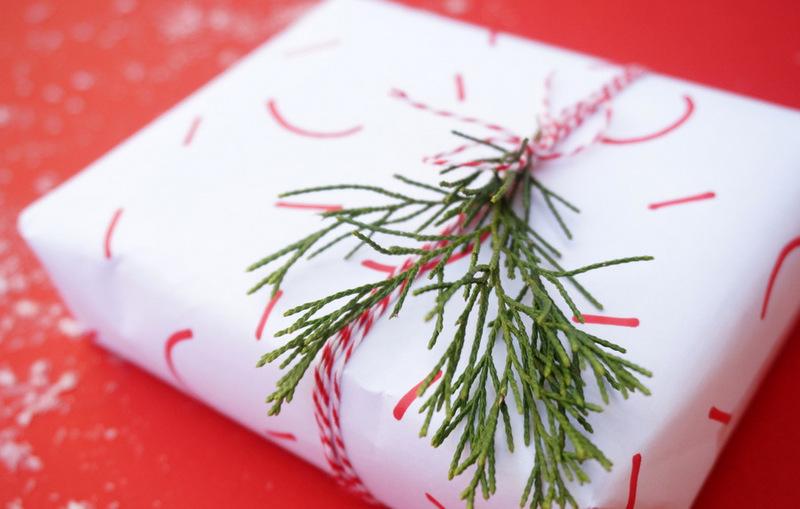 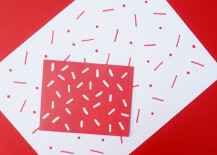 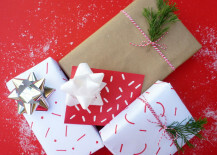 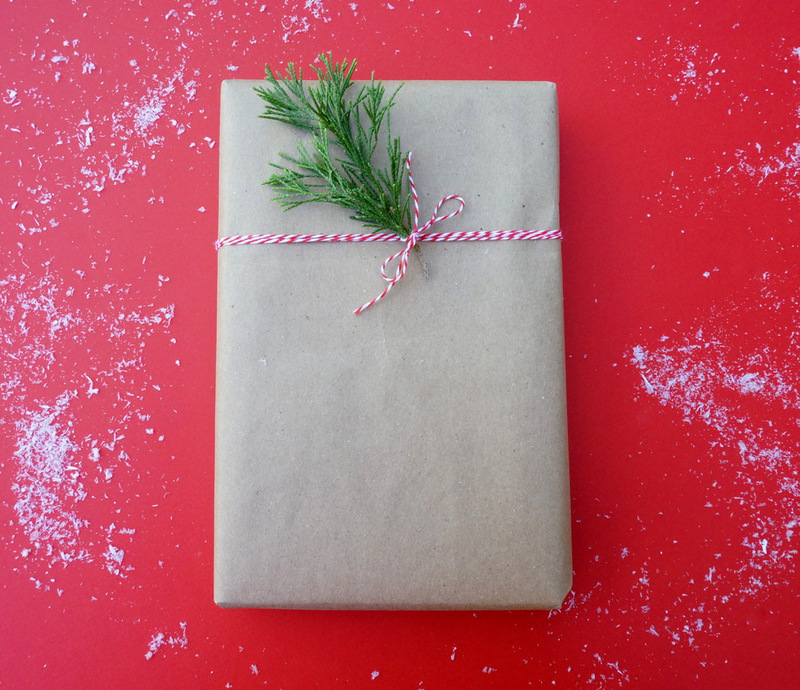 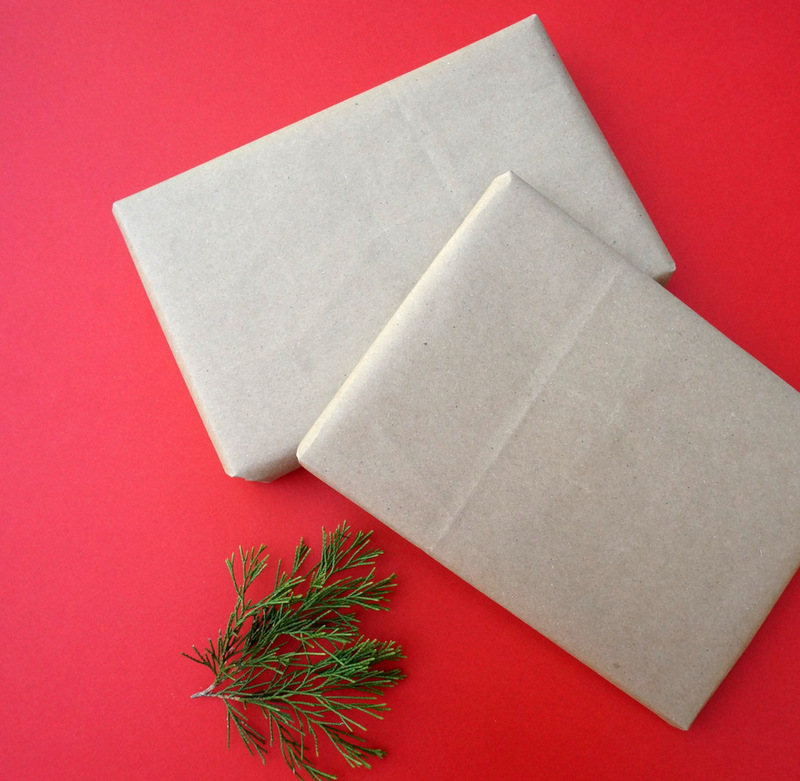 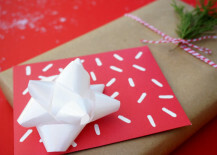 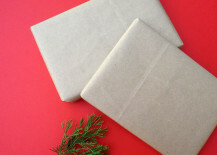 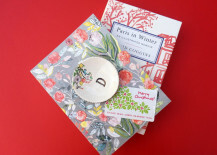 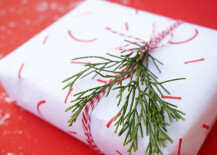 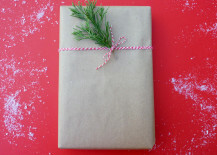 The thickness is ideal for easy wrapping, and if you’re concerned about being able to see through the paper, simply use two sheets when wrapping. 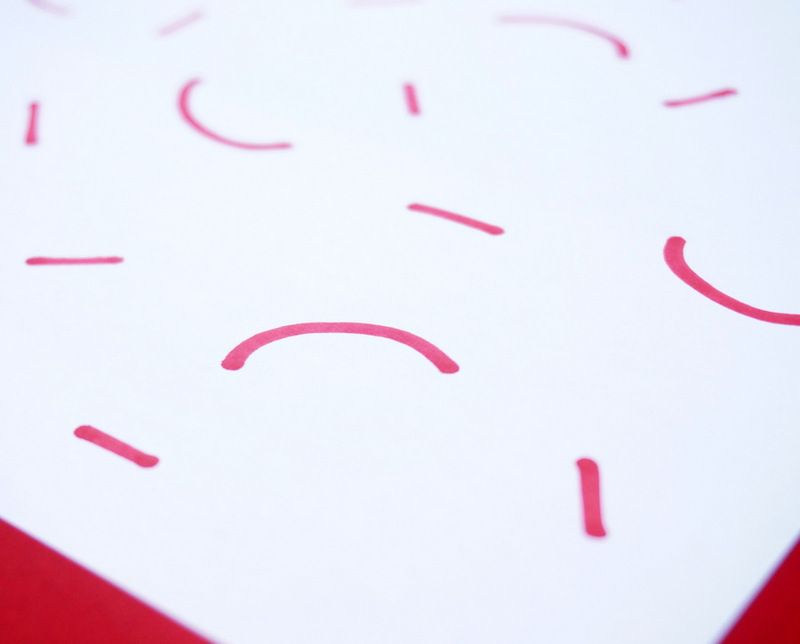 The downside: copy paper isn’t very large. 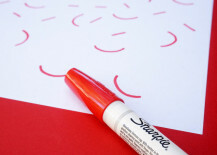 You may need to use more than one piece to cover larger items. 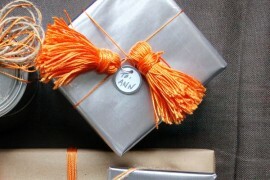 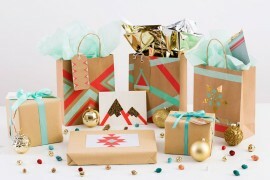 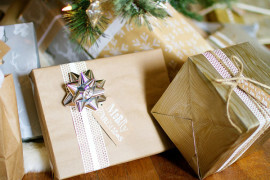 Shopping bags are a great source of wrapping paper, and the look that results is classic and chic! 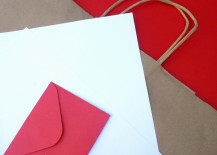 If you don’t want to use grocery bags, focus on shopping bags from other retailers (especially larger bags, which give you big sections of paper to work with). 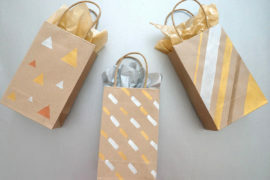 In fact, shopping bags of any color will work here. 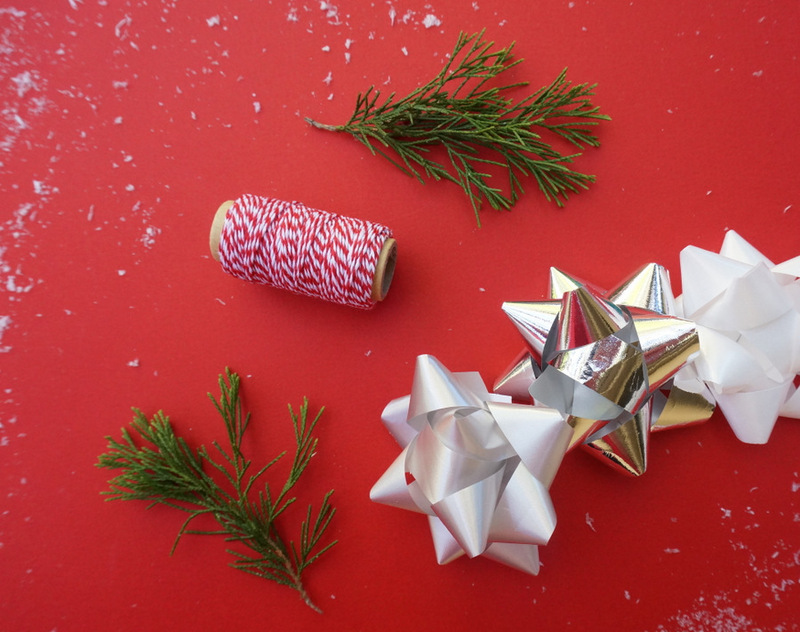 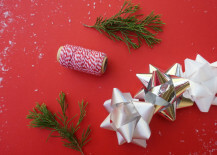 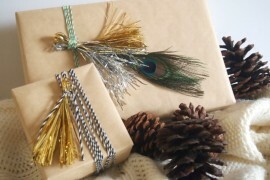 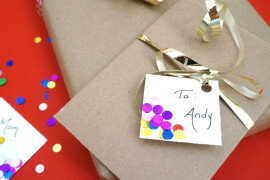 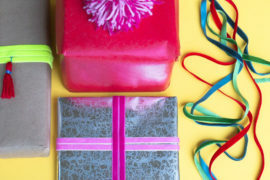 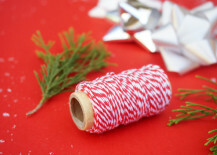 Have fun styling your gifts, enhancing them with any supplies you have on hand. 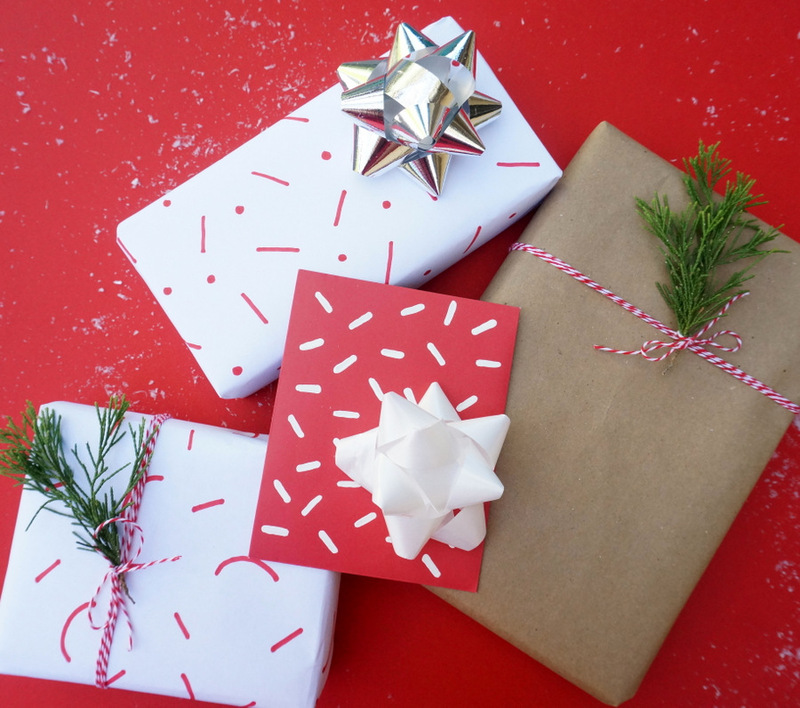 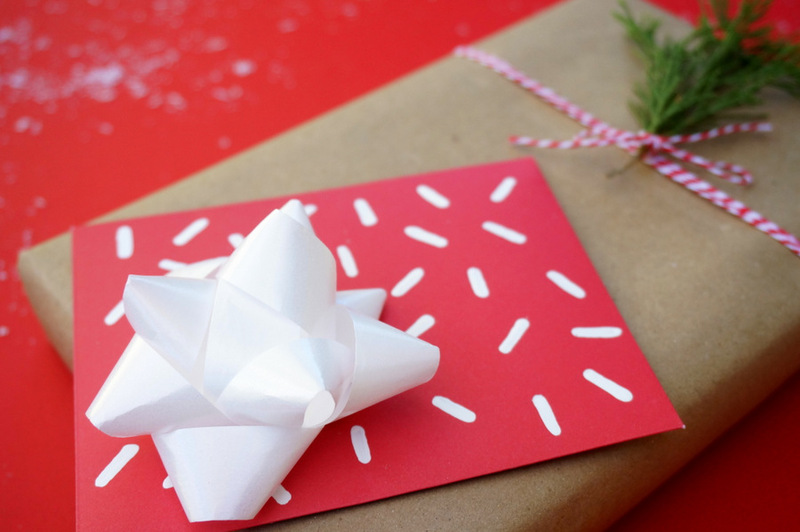 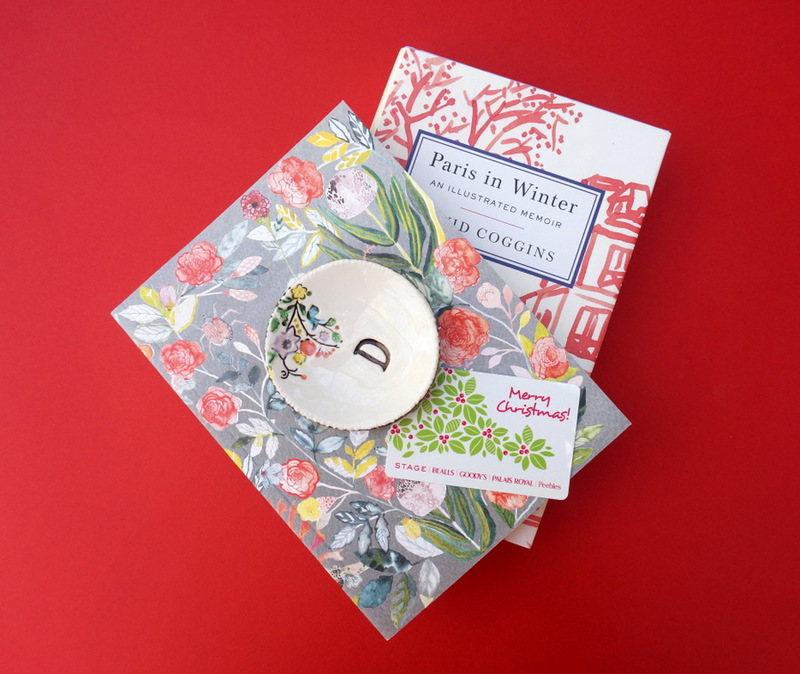 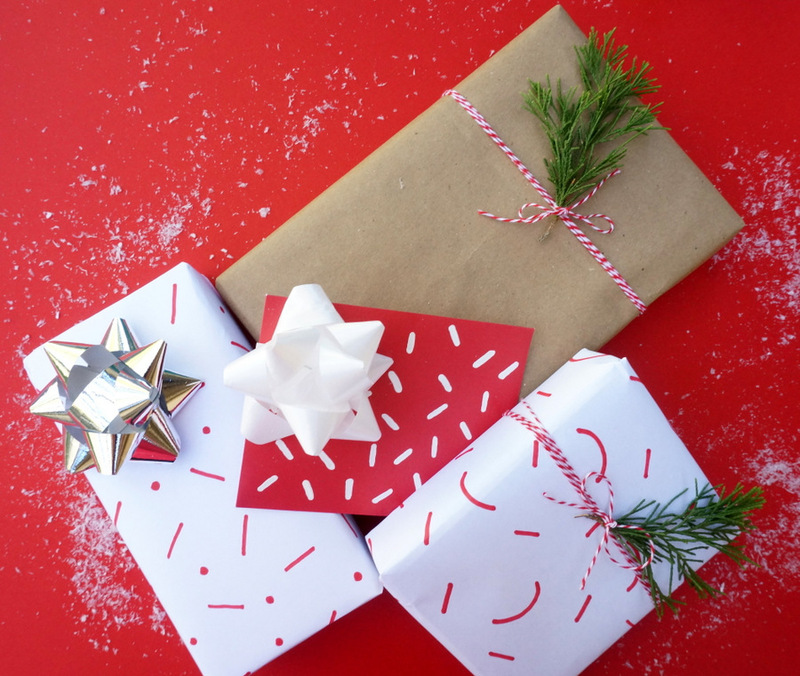 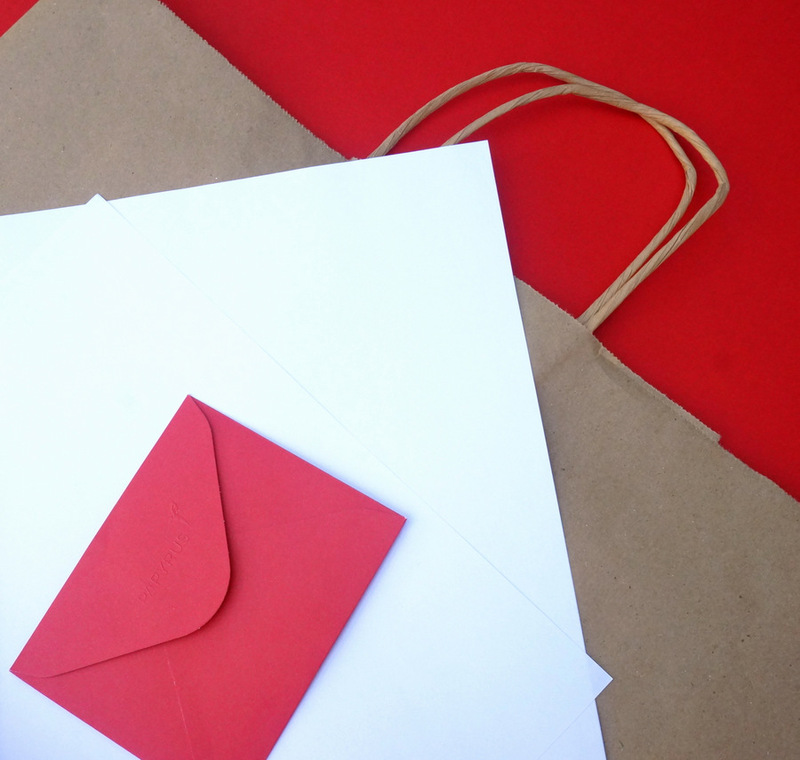 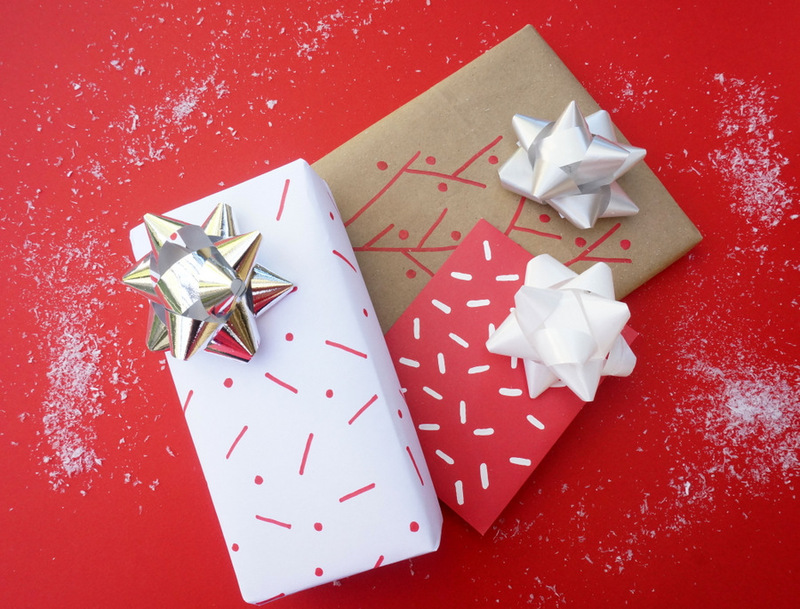 A red and white theme works well for groups of presents, and your gift recipients will appreciate the creativity you put into these packages. 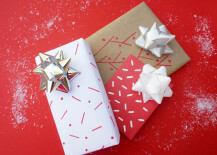 As today’s post has proven, sometimes the most interesting gift wrap ideas come from repurposing items you have around the house! 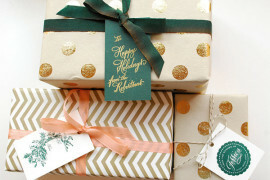 We at Decoist wish you and yours the Happiest of Holidays!